Rear of building ... Pearl Street elevation. 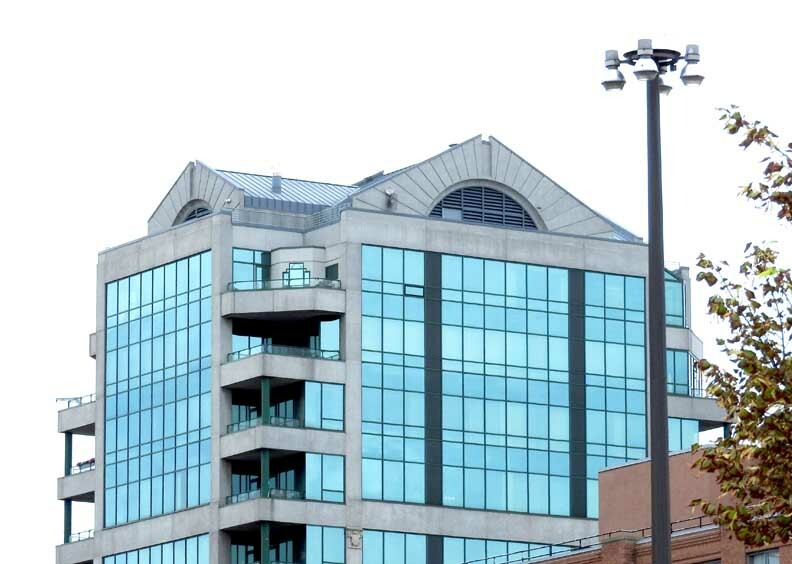 Postmodern features: Broken pediment roofs ... Balconies ... Stringcourse ... Color. The Nemmer Building started out life as the New Great Lakes Theater. Later it came under control of the Paramount movie studios and was renamed. 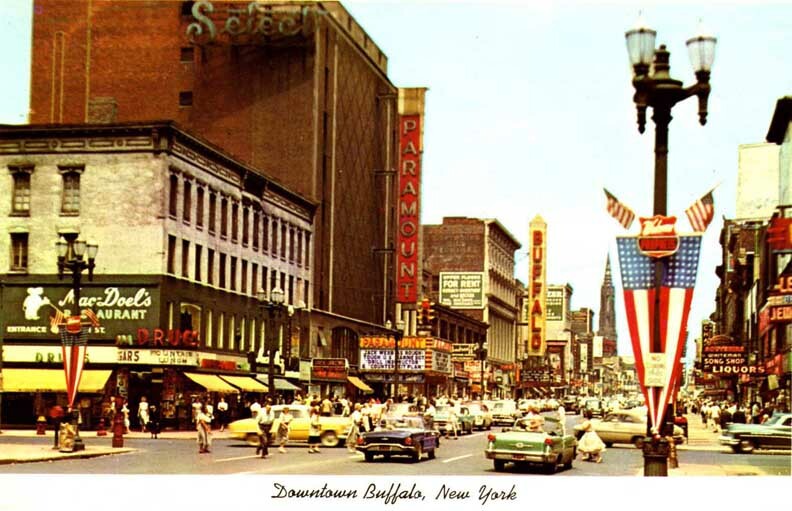 For much of the 20th century it was at the nexus of Buffalo’s entertainment district. It was not Buffalo’s most grand movie palace but was still quite elaborate and seated about 3000 people. As recently as the early 60’s this block was extremely vibrant. It was packed with theaters, restaurants and nightclubs. In very short order it crashed. 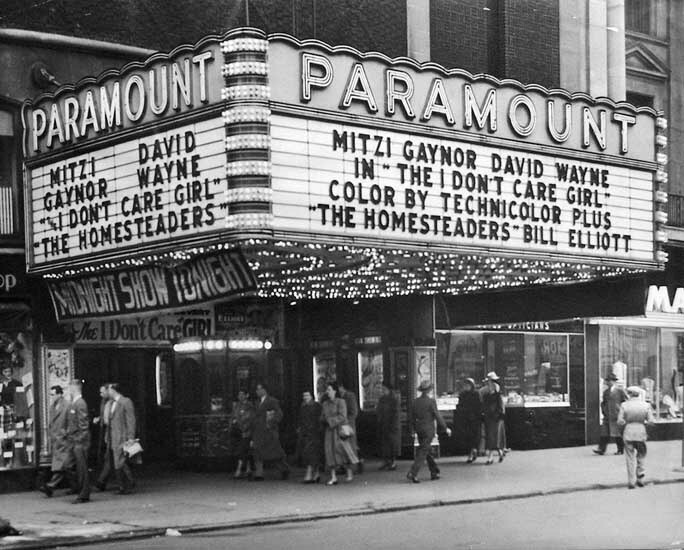 By the 1970’s this area now known as the Theater District was mostly vacant. Building owners stopped investing in their property and the grand old movie palaces either closed down or converted to low budget and X-rated fare. Nearby Chippewa Street became Buffalo’s red light district. Decent people in Buffalo spent little if any time in this area anymore. After the theater closed (I am not sure when) the auditorium portion at the rear was demolished and the front (Main Street) portion was converted to retail use. The old theater facade was unusual in that it was very restrained with a simple solid brick wall decorated with a diamond pattern of multi colored brick. There were a few very modest classical details. 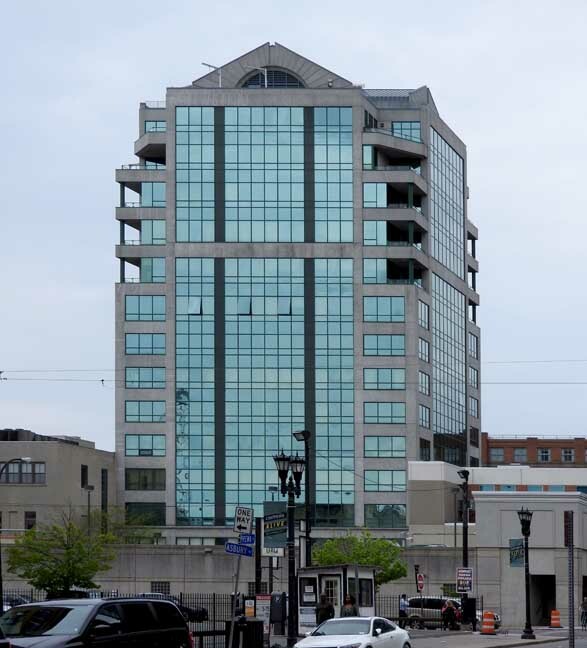 Compare this picture to Shea's Buffalo Main Street facade. It was not a very attractive building especially with its huge vertical movie sign and marquee removed. The front facade looked very much like a common 1920’s building type designed for “fire proof” storage. I am guessing that this is very likely what it was used for above the grand theater lobby. After many fits and starts the building was finally completed. 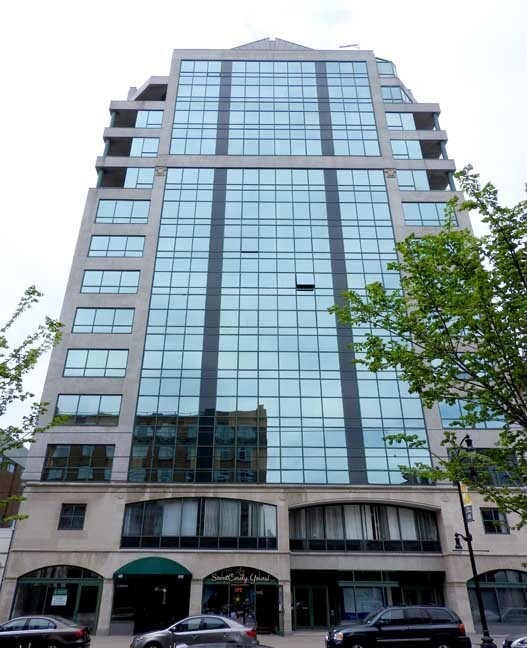 Several additional floors were constructed on top of the original concrete frame and the building was re-clad in shiny blue glass. A parking structure was also added at the back (more on that one in the future). The only hint of ‘what was’ are the arched entry ways at the first floor and two small classical column capitals about 2/3 up the facade. The result is not an award winner but is certainly an improvement. 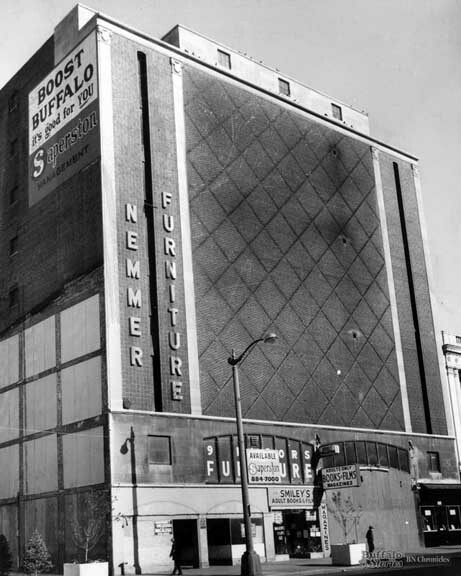 Nemmer Furniture began selling the upholstered items it manufactured at its Genesee Street factory in 1924, but didn't move its showroom to the 600 block of Main Street until 1957. 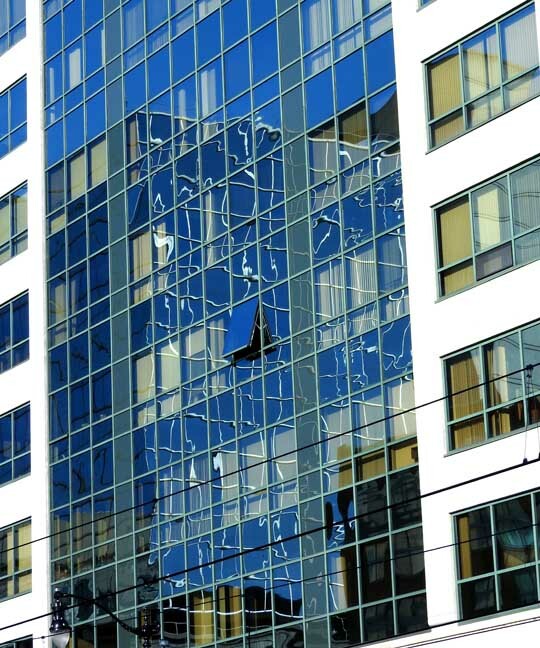 Before that, the building was the home to Select Furniture. 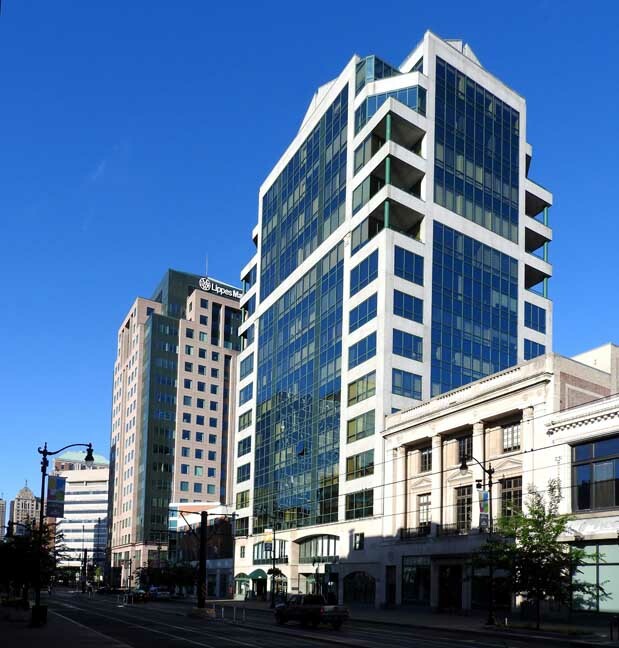 In 1996, the former Paramount Theater/Nemmer Building was completely renovated and converted from a nine story furniture store and warehouse building into a fourteen story mixed- use City Centre building. 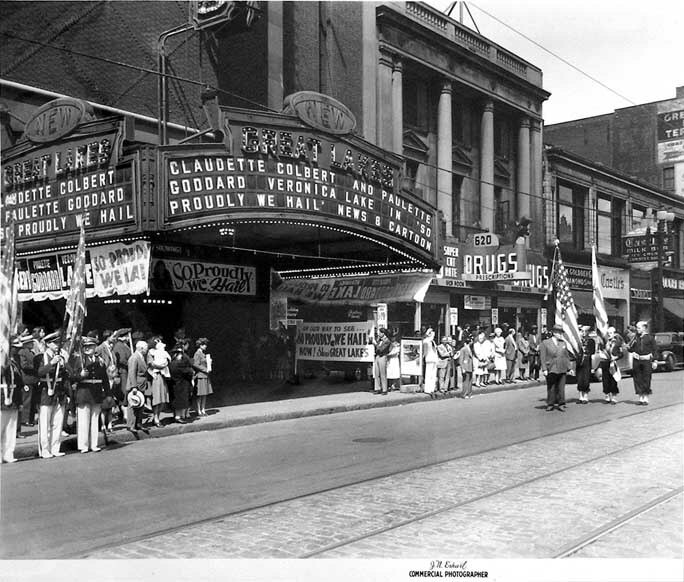 The Paramount Theater opened May 30,1927 as the Fox Great Lakes theater on the parcel currently identified as 598 Main St (alternate address: 600 Main St). It was designed by architect was Leon H. Lempert, Jr with interior designer Gustave Brandt. Presently , the 600 block of Main Street is the first block of the above ground section of Buffalo Metro Rail under construction to return vehicular traffic to Main Street.